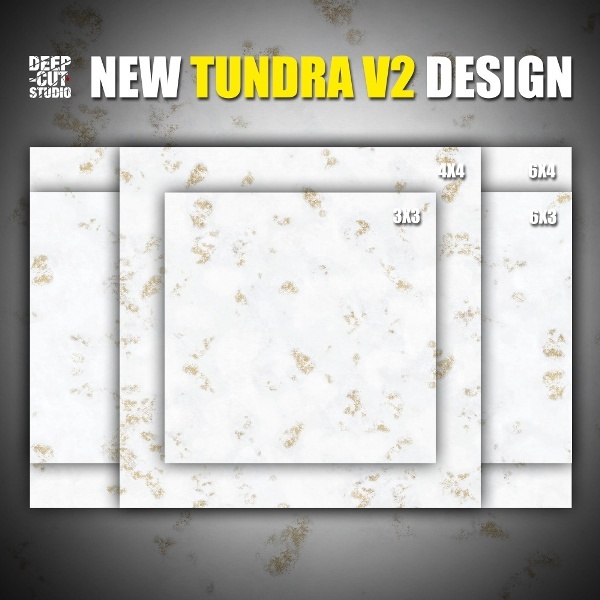 New game mat release – snowy Tundra theme gets a major update with new textures and completely new design. The new playmat , while keeping similarity to the old one, boasts even more sharp details, more juicy visuals and more ways to use it for your battles, including 15 mm scale. Available in any size you can think of, premium mousepad (neoprene) material, the battlemat is now compatible with a range of prepainted bases as well. Check it out at www.deepcutstudio.com – home of game mats.